The announcement came after the expiry of a three month amnesty for the return of funds. 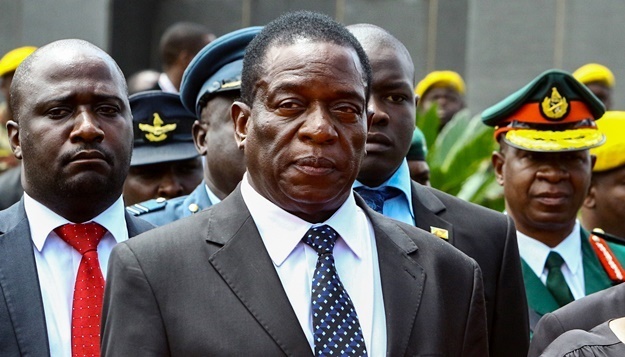 Zimbabwean President Emmerson Mnangagwa on Monday named hundreds of mines, Chinese businesses and individuals who had illegally transferred foreign currency abroad during Robert Mugabe's rule and warned they would be prosecuted. The announcement came after the expiry of a three month amnesty for the return of funds including export proceeds, payments for phantom imports and "funds transferred to foreign banks in cash or under spurious circumstances". Authorities say Zimbabwe lost at least $1.4bn in revenue as a result. When Mnangagwa took over as president in November following Mugabe's ouster, he issued a three-month ultimatum urging those who had illegally taken money out of the country to either bring it back or account for it. "Despite concerted efforts by authorities and banks to request these entities and individuals to account for the externalised funds, the entities or individuals failed, ignored or neglected to respond to the amnesty," he said in a statement. He also released a list of offenders.